The Daily Toad: Proudly disseminating sensationalised rubbish since 1645. Date: 25th Feb 2008. 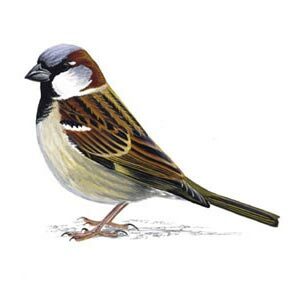 The Royal Society for the Protection of Birds have reclassified all small brown birds as one sub-genus, sparking controversy amongst ornithologists who fear that the RSPB is 'dumbing down' for a new generation of birdwatchers who really can't be troubled to step away from the TV and find out what bird is what. "For too long lazy, couch-ridden citizens of this nation have been denied the chance to properly participate in birdwatching," explained Tabitha Twitchett of the RSPB Generational Outreach programme, "and by reclassifying birds into easy-to-understand groups, we hope to make it much easier for everyone, no matter how stupid, to figure out what bird is what." "Everything small and brown is henceforth known as a 'Small Brown Jobby'," explained Miss Twitchett to a packed news conference, "and a further classification will be 'Duck' which will cover anything that floats. 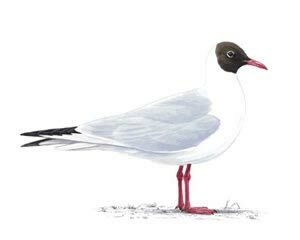 'Wader' will henceforth mean anything with long legs, irrespective of whether it is near water. 'Colourful' will cover anything that is, well, colourful, and 'Pigeon' will be anything vaguely that size such as doves, crows and so forth. All owls are now simply 'Owl' and anything that looks vaguely raptorish is a Hawk. 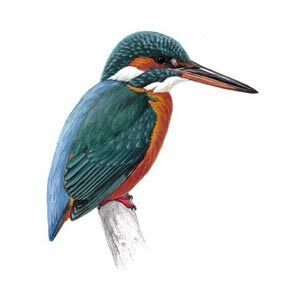 Naturally the Kingfisher still has its own name, and we have introduced an entirely new family of birds described as a 'Smorgit' which can be used to describe anything that is too far away to be recognised - such as a fleeting glimpse of a sparrow when drunk, or a Boeing 747 six miles away." With British Birds now numbering only seven, Miss Twitchett was confident that there would be a renewed interest in birdwatching, but also pointed out that to make it easier still, all seven British Birds would be only vaguely explained in the new 'pamphlet-style' bird identification book, to enable watchers to make up their own mind, and not suffer the potentially damaging feelings of embarrassment caused by erroneous identification. Wendell Hatchett, reporting for The Toad.